Joining the staff in January 2015, Neida Arrington is the General & Operations Manager of Wylde Center. She also helps manage our annual Beer Garden fundraiser. Previously she managed an office for a landscape architect firm but was eager to join a nonprofit. A childhood rearing in Lyons, Georgia, amidst Vidalia sweet onions coupled with an educational background in environmental studies made Wylde Center the perfect team for Neida to join. Outside of the office, she enjoys baking cheese cakes and bikepacking. Chris grew up in Rochester, MN and has lived all over the US: studying in Madison, WI, serving two years with AmeriCorps in Seattle, WA, and finishing up his Sustainable Community Development degree in Prescott, AZ. 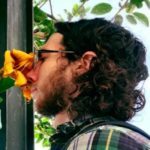 He returned to his hometown for a while to work as a garden manager for an alternative high school but decided to settle somewhere closer to the equator after skipping the Midwest winter/WWOOFing for several months in New Zealand. He then completed a farm apprenticeship in Mansfield, GA and joined the Wylde Center staff in late 2016 as an educator and site coordinator for Oakhurst Garden. 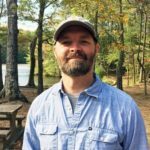 Josh is a landscape architect who brings a strong background of ecological planning and design to the Greenspace Director position. He has focused his career on a critical understanding of the role of holistic site planning and systems-thinking in the design process. His body of work reflects a deep commitment to environmental design excellence and prior to joining the Wylde team he managed a historic cattle ranch with an organic farm and hospitality program on Maui. Josh holds a Bachelor of Science in Environmental Design and a Master’s in Landscape Architecture, both from Auburn University. 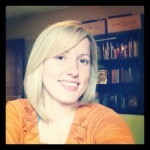 Sarah develops and implements the Wylde Center's education and community outreach program in Atlanta. An Atlanta native, she is a fiend for peaches and tomatoes but is still learning to love okra. In 2014 she was lucky enough to be part of the first cohort of FoodCorps service members in Georgia. During this time, she discovered that she loves teaching children about the magic of growing food, which she has gotten to continue doing since joining the Wylde Center in 2016. During the week, you will find her teaching in a school garden or leading after school clubs and tending the vegetable garden at the Edgewood Community Learning Garden. In her spare time, if she isn't hiking, camping, or practicing yoga, then she's probably curled up on the couch with a book and her sweet pup. Favorite plant to grow: My jade plant and all the little jade babies it makes. Allison grew up in Kennesaw and attended Georgia Tech where she majored in biology. Upon graduating she taught high school science for three years before going on to work at the Chattahoochee Nature Center as the education manager. 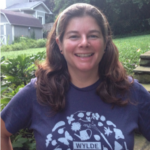 After spending 10 years in Connecticut, working at a nature center as the education manager, camp director, and waterfront canoeing director, Allison returned to Atlanta, joining the Wylde Center in 2015. She loves being a part of the Wylde Center because she gets to work with local community groups and schools. At home, she stays busy with her two children and loves camping and being on the water. Thom joined the Wylde crew in April 2018! He grew up into Chicago (and loves their pizza), but has since been bouncing around the United States working seasonal jobs. Most of his time has been spend in the woods of New England teaching at a residential environmental education company. However, during the summers, Thom has worked on farms and lead conservation trail crews in Connecticut, Illinois, and Oregon. 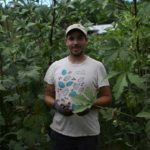 While new to Atlanta, he is stoked to be able to combine his love for education and farming at the Wylde center; running around with kids and vegetables is his passion! In his free time, he enjoys kayaking, running, woodcarving, journaling, traveling, and hanging out with chickens. 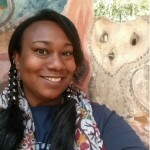 Hailing from Minneapolis, Minnesota, Tamara Jones joined the Wylde Center as the new site coordinator for Hawk Hollow in June 2015. She brings her experience as site manager of the Decatur High School community garden and her work with the DHS culinary arts department. She completed the Dekalb County Master Gardener program in 2010 and has put in many volunteer hours gardening. She is excited to be working at the Wylde Center because she loves working in gardens, especially when it involves working with people of all ages. She is also looking forward to learning about planting Georgia’s native plants at Hawk Hollow. Favorite vegetable to grow: Basil, tomato, okra! A Georgia native, Blair grew up in Gwinnett County and later attended Florida State University, majoring in Communication and English. Prior to joining the Wylde Center staff in January of 2016, her most recent work was with The Leukemia & Lymphoma Society where she spent 8 years directing and developing national fundraising campaigns, raising millions of dollars to aid in the fight against blood cancer. 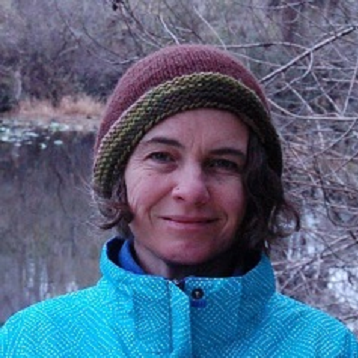 Having lived in Los Angeles and Seattle, she is thrilled to call Oakhurst home and be part of the Wylde Center, an organization that speaks to her interests in urban greenspaces, gardening, conservation, and local movement. 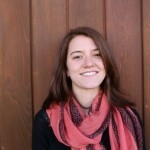 Blair is passionate about passionate people, and thrives on rallying communities and individuals around a common goal. When not at the Wylde Center, you can find Blair outside with her husband and three children, enjoying their backyard garden, hiking around in North Georgia, or just exploring the neighborhood. An educator and musician, Nichole Lupo grew up gardening with her dad in Lexington, South Carolina. She got her first job in a restaurant and her love of good food was born. 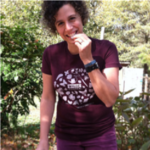 Searching for a way to combine her love of growing and eating fresh food with her desire to continue teaching children, Nichole began working with metro Atlanta’s Farm to School movement in 2007. She has spent the years since writing and implementing garden-based whole foods nutrition curricula, leading Farm to School workshops for teachers, instructional coaches and principals, and teaching in classrooms and gardens connecting existing curricula to delicious, garden-fresh food. 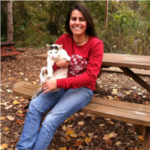 Nichole has been the farm to school manager at the Wylde Center since November 2012. She enjoys working with her committed colleagues, her talented teachers, and her excited, inquisitive students. Favorite place to eat: My kitchen table—my husband is a handsome, gifted chef! Growing up in a military family, Charlee started school in Germany and lived in several states across the US before her family retired in Georgia in 1998. She obtained a degree in Biology in 2007 and took a position with the Ecological Society of American in Washington DC shortly after graduating. Longing to be an environmental educator, Charlee left the ESA for a temporary position with the GA DNR where she gained valuable experience leading environmental education programs using birds of prey, reptiles and amphibians. After the position came to an end, Charlee found her way to Fernbank Museum of Natural History and then Cochran Mill Nature Center where she managed education programs, taught and rehabilitated lost and orphaned wildlife. Charlee joined the Wylde Center team in February of 2017, excited to be adding farming to her resume while doing what she loves most, teaching! When not teaching, Charlee enjoys traveling, making jewelry, throwing themed parties for her friends and gearing up for Dragon*Con. Stephanie Van Parys spent 8 years of her youth living in Germany, where she spent many hours roaming the pastoral landscape and food gardens around her grandfather’s house. When it came time to choose a field of study, the gardening trait that runs throughout her family could not be denied and she studied horticulture at the University of Georgia. Joining the Wylde staff in 2005 as the executive director, Stephanie is just as committed as she was on her first day to creating spaces for the community to discover the wonders of nature and teaching everyone how to grow their own food. Never one to keep her nails dirt-free, you will find Stephanie in her own garden each weekend. Favorite place to eat: I have to choose?! Pat has roots in New England. It was in Providence where he learned the fundamentals of sustainable agriculture and fell in love with growing food and composting. After spending two growing seasons as in Providence as an urban farmer and community partner, he then went to Martha's Vineyard, Massachusetts to fine tune his vegetable skills, play kickball, dance to Dan Deacon, and work for the first time with pastured poultry. Pat will be growing food on two plots and running a 20 member, market-style CSA for the summer and fall! 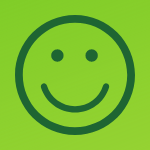 Todd Foreman, Chair, Zohar Law Firm, P.C. Adele Gipson, Consolidated Planning Corp.
Kimberly Turquetil, Delta Air Lines, Inc.